Welcome to the sanctuary for your stay, your base camp from which you’ll strike out each morning and return to kick back and relax in true comfort each evening. 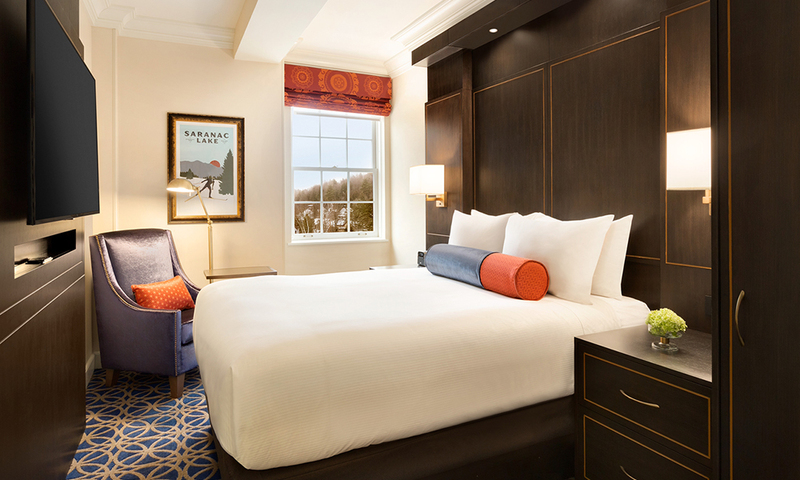 Hotel Saranac is unmistakably a historic hotel, but your room is filled with modern comforts and design details. Prepare to have your expectations of the Adirondacks redefined. Our rich, Roaring Twenties legacy is woven throughout each room, with dark wood architectural furniture, deep blue rugs, crisp white linens, dapper Adirondack nods, and rich textures, all featuring a classic color palette that seamlessly co-mingles cherished history and lovely modernity. 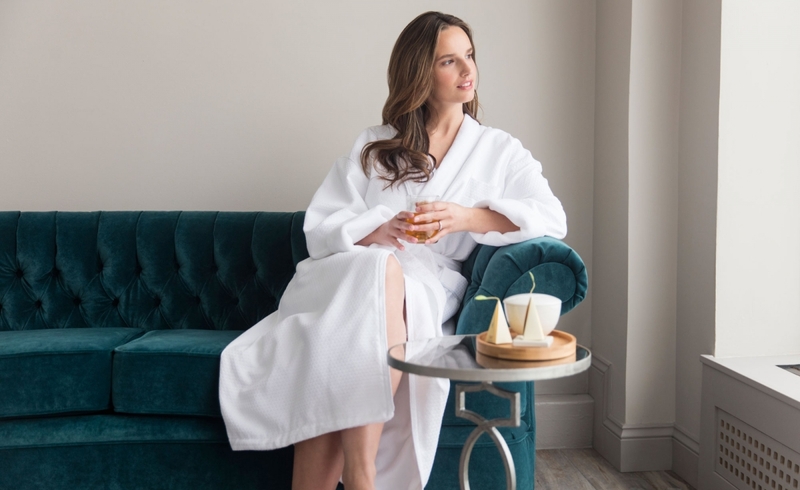 Each of our 20 suites in the adjoining Compass Point building will offer guests a choice of larger, more private accommodations, perfect for wedding parties, families or groups traveling together. 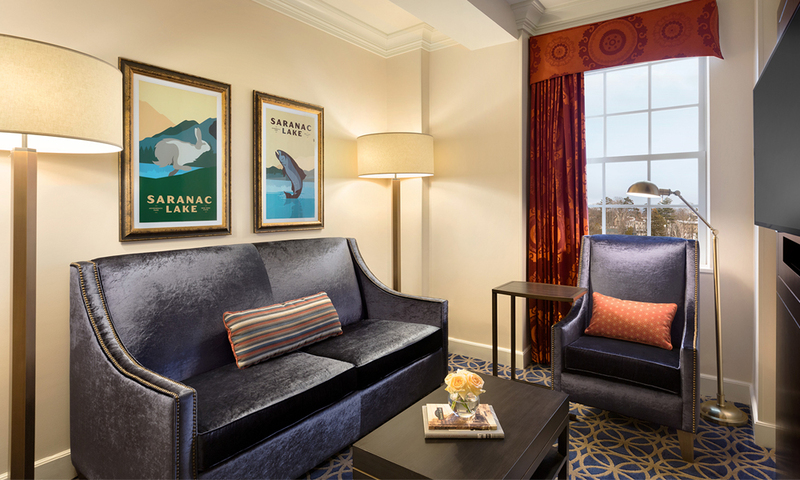 Best of all, these rooms are still near to the action, so no one has to miss a single shining Hotel Saranac moment. We welcome all travelers at the Hotel Saranac, and we’ll be here to make sure your trip into the beauty of the Adirondacks is as easy to enjoy as possible. 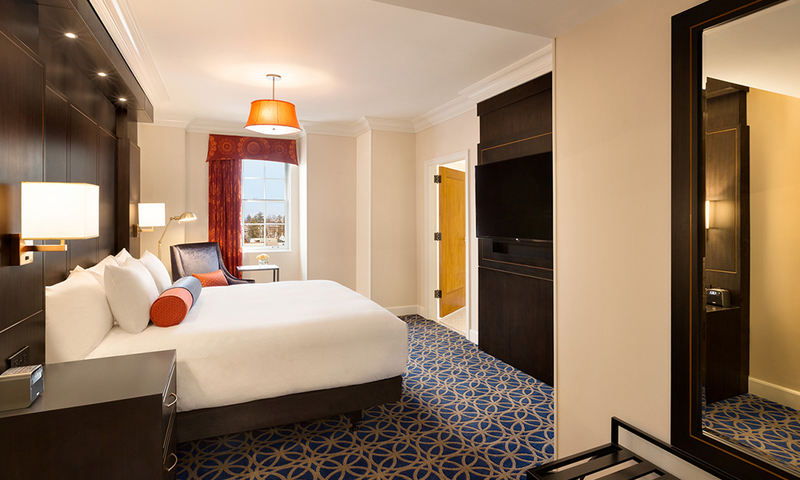 We offer accessible rooms so any visitor can experience the breathtaking surroundings in total comfort. For a combination of custom amenities and experiences, check out our current packages. Make sure to check back as they change seasonally, and vary in availability and schedule. All, however, connect you with the experiences that make ADK life so unique. If you have any questions, make sure to contact our staff for more details.